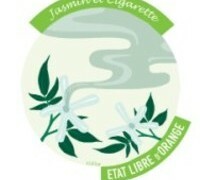 In the early 1980s, the late Annick Goutal created two fragrances for her young daughters, Camille and Charlotte. Ivy and honeysuckle inspired Camille’s scent (Eau de Camille, 1983) while Charlotte’s scent (Eau de Charlotte, 1982) described a young girl smitten by blackcurrant jam and cocoa. Despite the foodie nomenclature of the notes, Eau de Charlotte is not a gourmand scent. The blackcurrant and cocoa notes belie Charlotte’s true nature as a lily of the valley scent. In Eau de Charlotte, the lily of the valley is given a complex application. Rather than being a study of a child’s gustatory pleasures, it’s an impish scent that hides its floral heart beneath its opening notes and which does not display those famous nursery notes as gourmand. It opens green and sharp with blackcurrant bud. Blackcurrant jam is not present and the bud is, unripe and a bit sappy. It lends fruitiness but not an overt sweetness. The sweetness that emerges under the blackcurrant is a vanilla of the type used in a baby product, meaning that the vanilla is not gourmand but is functional—it is the vanilla of a lotion and not that of a cookie. At first, so remote is the lily of the valley in Eau de Charlotte that one must look for it as if hunting through winter for that first sign of spring. Once it settles in, however, it has a lovely feminine quality, backed by a supple white musk. Wait an hour and the idea that Eau de Charlotte has gourmand notes will disappear. Drydown is a soft white vanilla musk and traces of the mimosa bud. The floral treatment is subtle and engaging, perhaps too subtle given the character of the opening. Still, though, the floral hints at an emergent womanliness, a reminder of that fleeting age where womanhood is on the cusp and childhood is left behind. 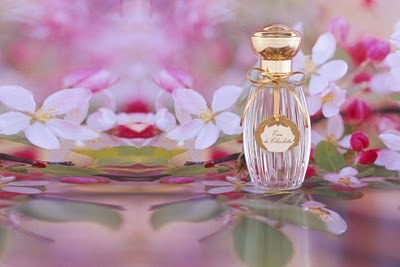 Annick Goutal Eau de Charlotte includes notes of blackcurrant buds, mimosa, lily of the valley, cocoa, and vanilla. Eau de Charlotte is sold at Neiman Marcus, Saks5thAvenue, Luckyscent and directly from Annick Goutal website. Therese19: I have terrific memories of AG’s perfumes. I first discovered Gardenia Passion at Bergdorf’s in the early 1990’s. It was my signature for several years. The body lotion and soap were like nothing I’d ever experienced before . OperaFan: I remember that lotion – this “pearly” goop! I remember buying a bottle at one point, and I believe it was the Gardenia. Austenfan: You have reminded me of the fact that I haven’t worn this in a while. It’s one of my comfort scents. I would never have guessed about the muguet, but next time I wear it, I will pay extra attention. Suzanna: Austenfan, my Charlotte gets lost in the shuffle also, and there are days when it is too powdery and then days when it is wonderfully green and tart. Undina: Even though I consider myself an AG’s fan (I went through several bottles of Petite Cherie and now in addition to it own and use Heure Exquise, Ambre Fetiche and decants of several more scents) I keep finding pefumes from this line that I’ve never tried before. So now I have two to add to my “to try” list – Eau de Charlotte and Eau de Camille. Though I should mention that I haven’t seen any of them in my local Neiman Marcus. I should check it again the next time I’m there. Or at Saks (I wasn’t looking there, so I do not know if they have it). Suzanna: Undina, Saks has the line here in Florida, so perhaps they do elsewhere as well. I’m with you on not knowing the whole line. 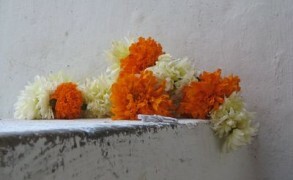 Although I have been a big wearer of Gardenia Passion, I never knew the other big white florals until fairly recently. Eau de Camille is a lovely “outdoor” scent, whereas Charlotte is an indoor fragrance.